Olives are the perfect ingredient to add to hummus. 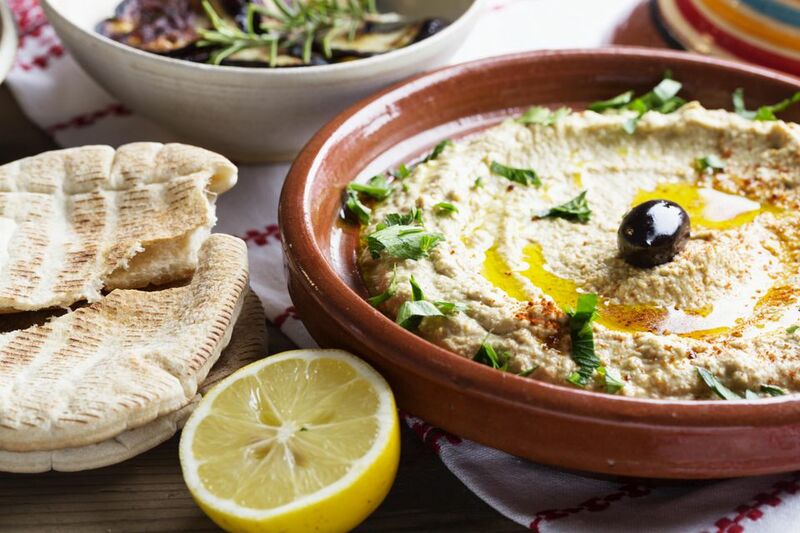 The flavors of this kalamata olive hummus recipe really compliment each other, making a delicious variation of traditional Middle Eastern hummus. Hummus is a dip/spread that is made from chickpeas. In fact, hummus is the Arabic word for chickpea. You may notice that many hummus recipes call for garbanzo beans, not chickpeas. Garbanzo is the Spanish translation of chickpea. They are called cece beans in Italy. In a food processor, combine all ingredients and blend into a creamy, smooth dip. If dip is too thick, add 1 tablespoon of water, until desired consistency. Kalamata olive hummus can be made up to two days in advance. Store in an airtight container in the refrigerator. Kalamata olive hummus can be served hot or cold and with pita bread, pita chips, or veggies. Hummus really does make a great alternative to chips and dip. Serve one type of hummus or a variety with hot pita bread wedges, pita chips, fresh veggies, or try one of these appetizer ideas with hummus. Presentation is important when it comes to hummus because it looks bland most of the time. Bland usually equals boring and you don't want the hummus to be passed up because it looks boring. Sprinkle red pepper flakes or paprika on top to add a little color. Serve hummus in brightly colored bowls. The presentation can be almost as important as the taste. No matter how you eat it, hummus is a healthy snack and is certainly better for you than the old standby of salsa and tortilla chips. If you frequent Middle Eastern restaurants and eat the hummus, you know that hummus tastes different everywhere. Some types of hummus have a strong lemon flavor, some have an overwhelming garlic flavor, and some hummus has a spicy tone. When making your own hummus, you have to keep your own taste buds in mind. If a recipe calls for a lot of tahini and you don't like tahini, scale down the amount or simply omit it. The fun of Middle Eastern cooking is that the ingredient amounts aren't set in stone. Add a little of this and take away that and you still have a culinary masterpiece!